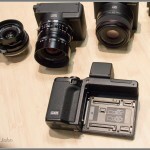 I visited with Ricoh at the PhotoPlus Expo in October and had my first opportunity to check out their unique GXR modular compact camera. 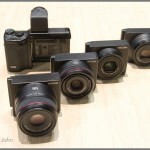 It’s one of the most interesting – and most expensive – compact cameras on the market. You buy the body and “Camera Unit” separately. 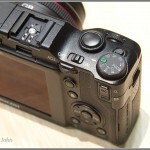 The Camera Unit contains the lens and sensor so you can choose the lens / sensor combo that suits you best. 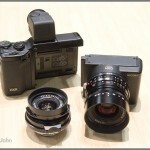 They have five Camera Units now, including one with a Leica M lens mount. Besides the Leica mount, there are two prime lens modules, a 28mm and a 50mm; and two with zoom lenses, a 24-72mm and a 28-300mm. 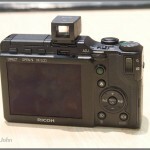 One very important detail about the Ricoh GXR camera is they offer Camera Units with a large APS-C sensor for better image quality, putting the GXR in the compact system category rather than the high-end point-and-shoot category as you might assume at first glance. Back when I still shot film, Ricoh, along with Contax, Olympus and Leica, made some of the most desirable point-and-shoot cameras available. Since the mid-2000s their profile has dropped in the US because they have very limited distribution and their digital cameras are so expensive. 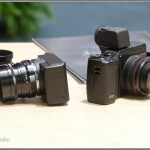 They recently acquired Pentax and one potential benefit for Ricoh is better distribution in the US. 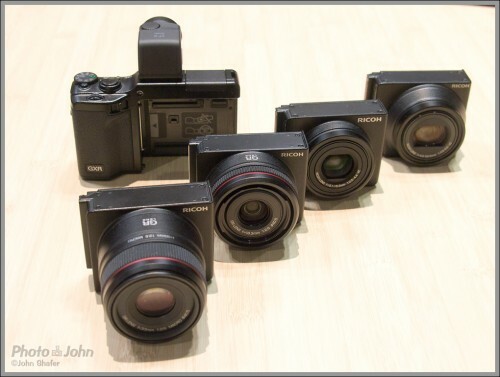 For the past few years, they’ve just sold their high-end compact cameras through a few big, pro dealers, namely, Adorama and Samy’s Camera. 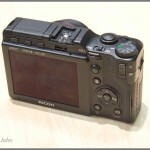 Having access to the Pentax distribution channels could make Ricoh cameras available at a lot more camera stores and online dealers – and the Ricoh GXR deserves more attention. 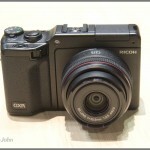 I’m glad I finally got a chance to take a look at the Ricoh GXR. 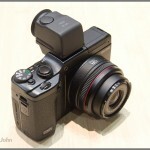 It was a lot more camera than I realized – especially with the new A12 Lens Mount Unit, which has an APS-C sensor and Leica-M lens mount. 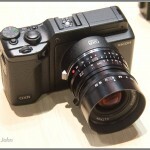 Anyone looking at Micro Four Thirds or other mirrorless cameras should also take a closer look at the Ricoh GXR system. 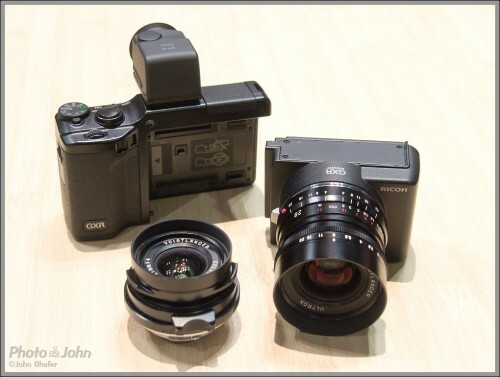 The flexible modular design of the GXR combined with the large sensor options and M-mount lens compatibility make it a very compelling compact camera option for serious photographers.